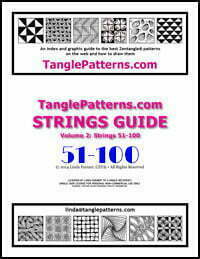 This week’s String is shared by tangler Barbara Finwall for your creative enjoyment. 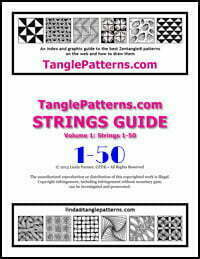 Barbara is one of our most prolific string contributors and she has some beautiful tangles too. You can locate them all by using her last name in the Search TanglePatterns.com box at the top right of any page. I’ve recently added this new feature where you can link your art using each String to its page. Scroll down the page and look for this button and instructions for linking your Zentangle art using String 139. 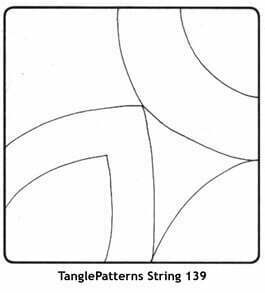 Look for this button and the instructions at the bottom of every String page and share your Zentangle art for all to enjoy! If you want to go back and add your art to any of the earlier strings you can now do it!